Yes. I am so house poor right now that I have to window shop at thrift stores. 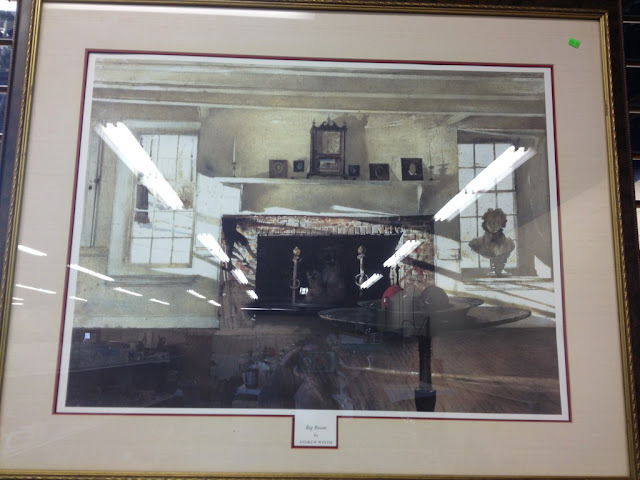 This is an Andrew Wyeth print. My mom-in-law loves his paintings and turned me on to him. 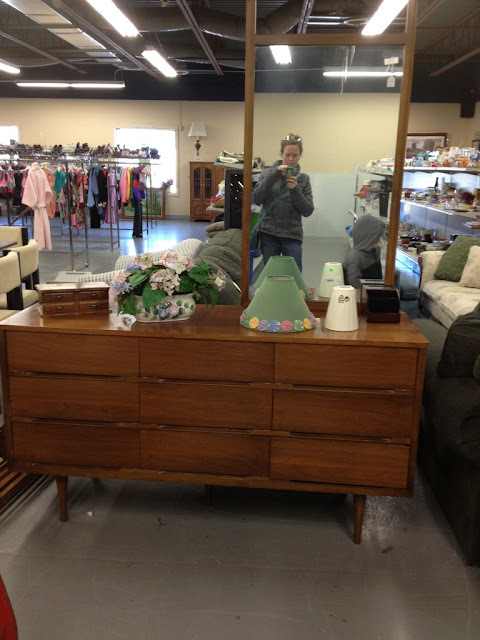 This is a beautiful mid-century modern dresser that I really, really wanted. It doesn't fit my style but I love the clean lines. It was in great shape but didn't have a price tag and I wasn't patient enough to find out. 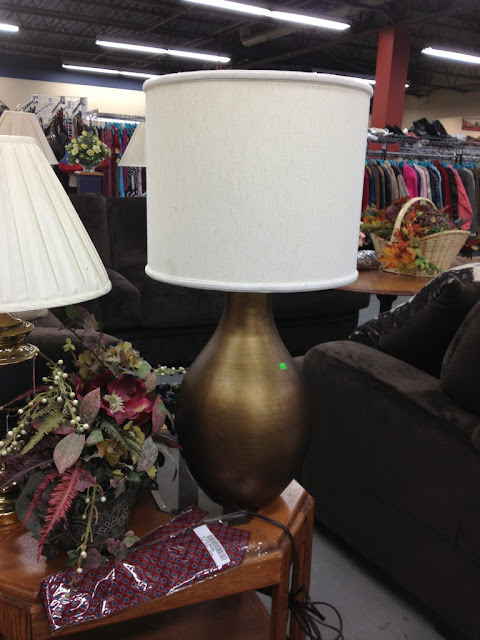 I'm on the lookout for good lamps. This one caught my eye. I think it is a newer lamp. The price tag said that whoever marked it thought so too. It was $25. Boo. 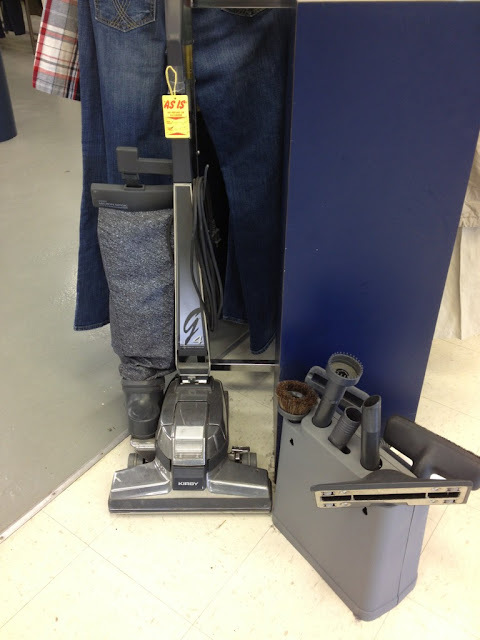 I have a Kirby vacuum and absolutely love it. I paid a lot more than this one which was $125. It had all the attachments and said it worked. It all looks the same as mine but a little older and different colors. I was tempted to buy it just to resell online but I doubt it would go for much more. I'm starting to get that itch. Second hand stores are calling my name once again. I've been getting quite a few notices of estate sales coming up. Spring is slowly approaching! I can't wait!